Rent Big Water Grille | Corporate Events | Wedding Locations, Event Spaces and Party Venues. Nestled in the mountains on the north shore of beautiful Lake Tahoe, the Big Water Grille offers spectacular panoramic lake views, both inside and out. Our California bistro menu has been updated with a welcome Southern twist. We feature an extensive wine list from around the world, as well as a full bar with signature martinis, cocktails and craft beers. Big Water Grille can accommodate your special day with a ceremony on our large deck overlooking Lake Tahoe or in front of our large river rock fireplace. Your reception will begin immediately with a cocktail hour with passed hors d’oeuvres and champagne or a cocktail from our full bar. 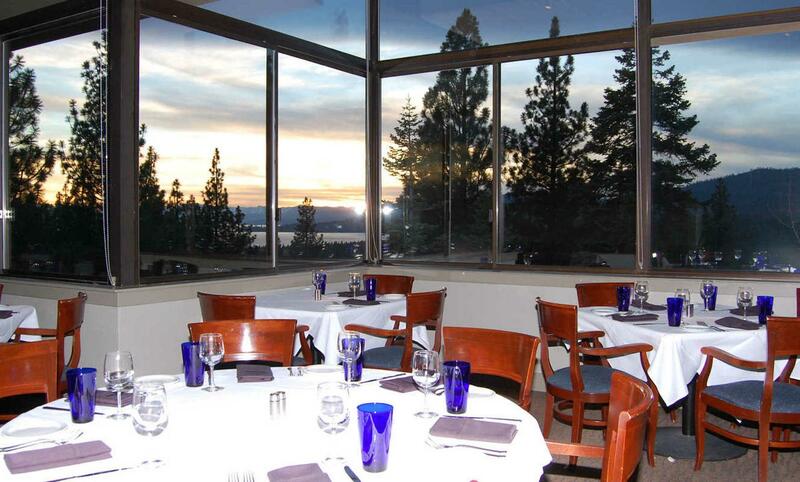 Dinner will be served in our multi leveled dining room with panoramic views of the mountains and Lake Tahoe. After dinner you can dance the night away in the lounge.